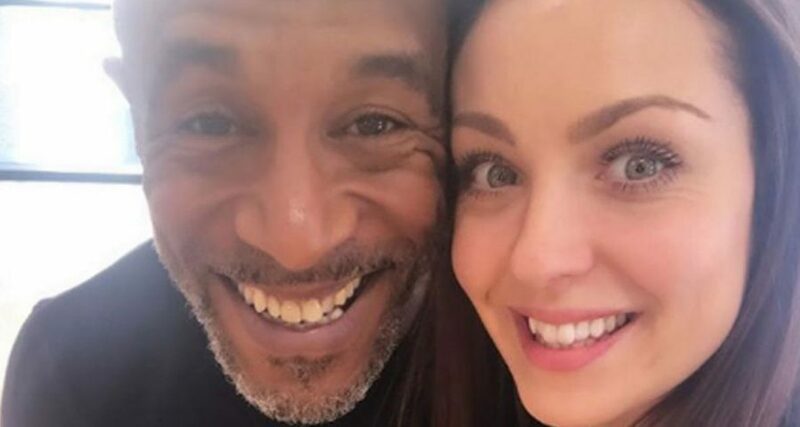 Strictly Come Dancing duo Danny John-Jules and Amy Dowden are putting on a united front after their big bust-up. Professional dancer Amy, 27, was in tears when she fled training after a massive row on Wednesday. "I can’t go on with him any more," she sobbed as she rang producers on the BBC show after storming out of the studio where she and actor Danny, 58, had been practicing. But after tempers flared, the pair are putting a brave face on things before Saturday’s show. The pair have been sharing a series of smiley selfies on Instagram Stories. Smiling enthusiastically, Amy chimed: "Training done where are we going now Danny?" "It Takes Two," he grinned. Last night a source told the Mirror: “Amy’s call sparked a sense of panic, not least when she said she couldn’t be paired with him any more. Last night the pair appeared on spin-off show It Takes Two as a source said Amy had decided to go on rehearsing with Danny in West London. Death In Paradise star Danny has been one of the favourites to win the show since week one. Last weekend he and Amy finished bottom of the leaderboard but dodged the dance-off which saw Dr Ranj Singh and Janette Manrara go out. Speaking to host Zoe Ball on It Takes Two today, the pair did not refer to the bust-up. But Danny said he had struggled with training, feeling “like a girder” because he was so tense and stiff after the weekend. Amy told how she had held him more strongly to lead him around the floor – and he said it felt like being trapped in “two vices”. Tonight a Strictly spokeswoman declined to comment.